Feel that crispness in the air? See those puffs of steam rise every time you exhale? The cold weather is on its way and the season for dinner parties and indoor entertaining is here. And what better way to celebrate than with a beautiful tablescape? To kick off October, we’ve pulled together a fall entertainment style guide on how to create your perfect table setting. In just seven easy steps, you’ll have the most gorgeous dining space in town – all you’ll need is some comfort food and plenty of wine, and you’ve got a celebration for the books. The base of your dinner design, a tablecloth or runner is an absolute must have in order to dress up your dining area for the occasion. They help to anchor your place settings and lend a soft and inviting element to your arrangement. 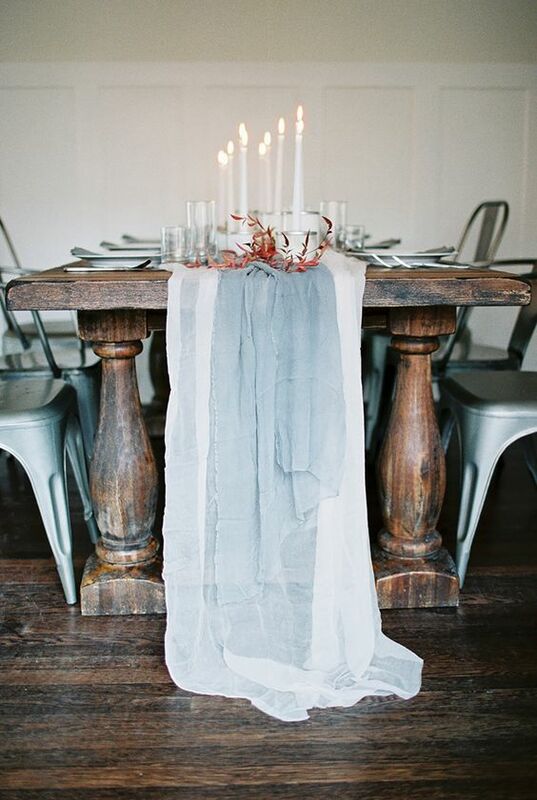 Plus, there are endless ways to incorporate these into your space, including layering sheer fabrics for an ethereal look, draping a runner loosely to give your table an unhurried and relaxed feel, or opting for a patterned runner to give your tablescape an instant pop of excitement. To help define each place at your table, a charger or placemat is a classic touch. Metallic chargers give your table an elegant and refined look, while a cloth placemat provides texture and visual contrast. Looking for something more out of the box? Try a wood charger – not only does it add a beautiful natural and earthy vibe to your design, but it also lifts your plates above the tabletop, adding depth and dimension to the overall style. 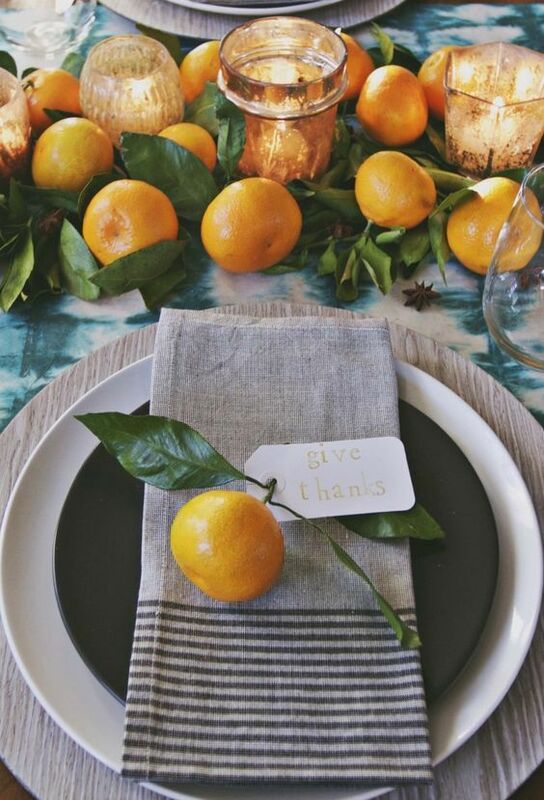 The best way to transform your table from everyday use to event-ready is to add a centerpiece. Whether you opt for a stunning floral arrangement, simple greenery, or a more seasonal collection (think pumpkins or pinecones), a centerpiece is what gives your tablescape personality and lets your style shine through. This is definitely a step you don’t want to miss. 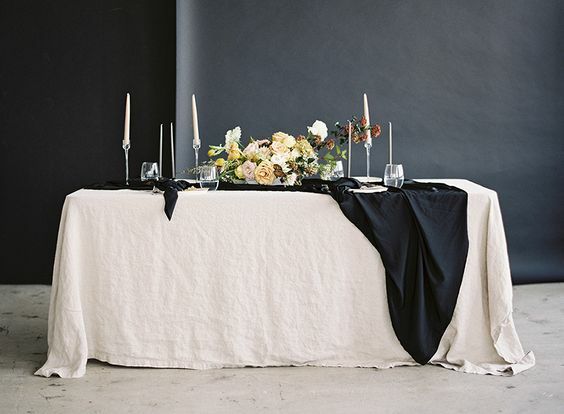 Though they aren’t as simple to clean as disposable paper napkins, investing in cloth napkins for entertaining is something we highly recommend. They’re classic and timeless and they give your party a certain warmth and welcoming aesthetic. You can get creative with displaying your napkins, too, and they’re the perfect complement to your overall design. Try wrapping them in twine or a napkin ring and adding a sprig of flowers or greenery for a final touch. While menus are typically popular at weddings, they’re also beautiful tablescape additions for a dinner party. Especially if you’re hosting a special event (holiday, birthday, retirement, etc. ), a menu can lend a classy air to your overall design and give your guests something to look forward to as the meal progresses. To add a personal touch to your party, consider incorporating place cards at each setting. Your guests will feel welcomed and honored, and your tablescape will look all the more dazzling. From simple and minimal designs to scripted and luxurious name tags, place cards give your design an intimate quality you’ll love. Relaxed lighting is essential to a cozy dinner party, and candles instantly change the room’s atmosphere and give off a celebratory effect. Not sure which ones to choose? If you want to add height to your tablescape, taper candles are the way to go. If you’re going for a Scandinavian-inspired minimalist style, try a single candelabra. Or, if you like more of an eclectic collection, try mixing pillar, taper, and votive candles together. Whichever style you prefer, just remember to keep your candles scent-free so they don’t intermingle and overshadow the aroma of the food. So, are you ready to host your first cold-weather dinner? Then uncork your favorite wine, take a seat by the fire, and start pinning recipes. Because now that you’ve got your tablescape perfected, all you need are a few menu hits.